Produce crisp, accurate, cost-effective drawings. HP printing supplies and Original HP inks provide low maintenance, high-productivity printing. So you can print with ease and deliver with confidence. CN073A Produce crisp, accurate, cost-effective drawings. HP printing supplies and Original HP inks provide low maintenance, high-productivity printing. So you can print with ease and deliver with confidence. Get crisp, clear, accurate results every time. Maintain high productivity with Original HP inks. 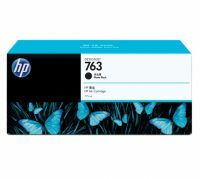 To Recieve updates and possible rewards for Hewlett Packard (HP) HP 763 775-ml Dark Gray Designjet Ink Cartridge please sign in. To Recieve updates and possible rewards for Printer Cartridge, Ink & Toner please sign in.